The social security number is necessary for everyone to officially become a citizen of the country and avail oneself for various life security insurance claims. 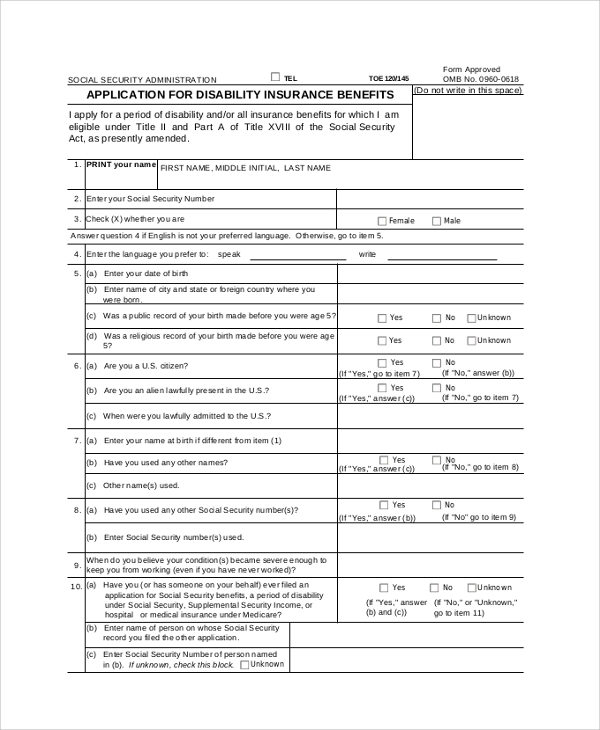 The following social security Job Application Form Samples cater to different categories of insurances such as disability allowance, medical allowance, accident allowance and likewise. 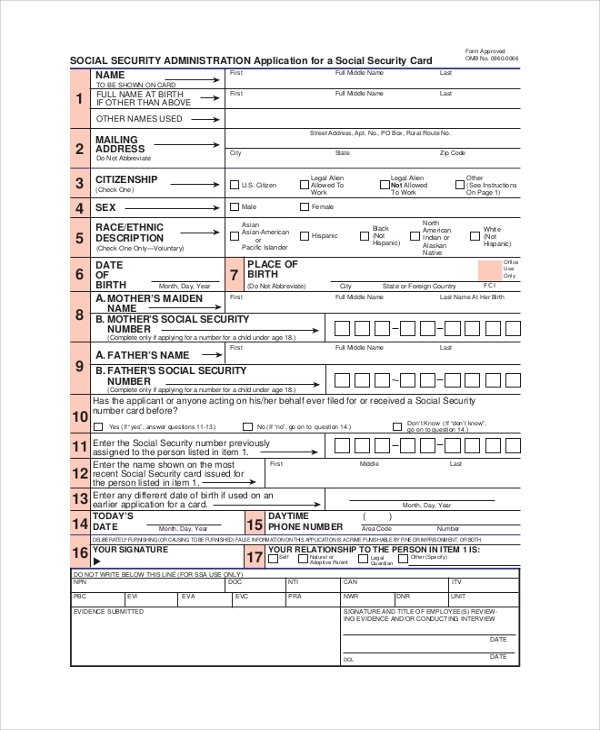 Most people are confused as to how to fill the form and how to submit, and the evidence required. All of that required information is explained in the following forms. 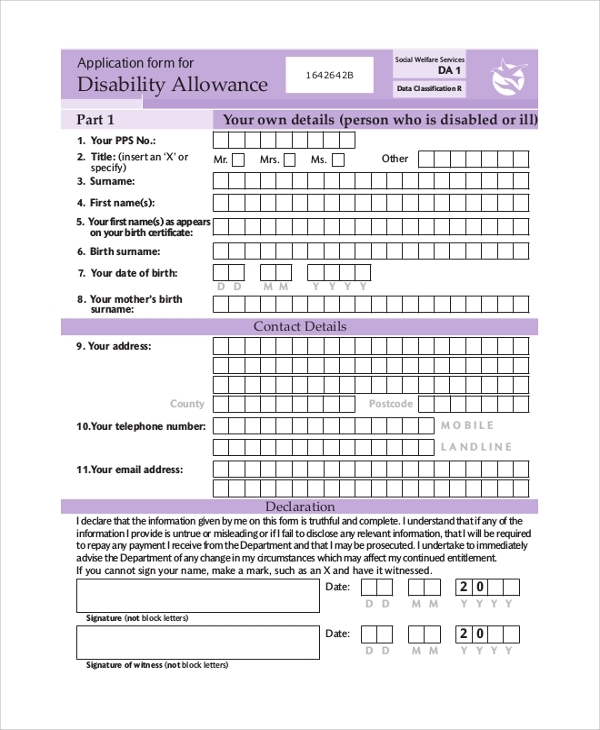 This is an application form for social security disability allowance. It contains fields for basic data, contact details, declaration, work and claim details, residential condition, payment details, details of children and spouse and multiple checklists. 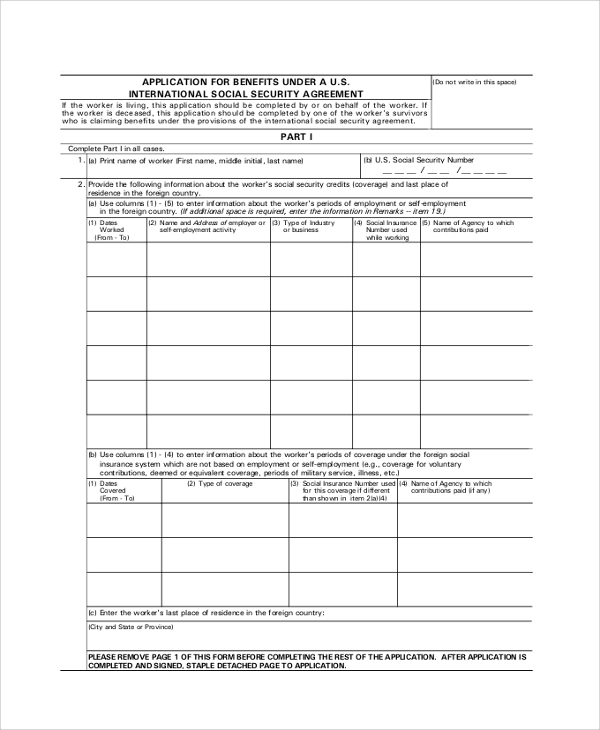 This is an Application Form for a new social security card, replacement of the old one and modification of information. It comes with all the information such as how to submit the application, how to complete the application, evidence document required and different acts enacted. 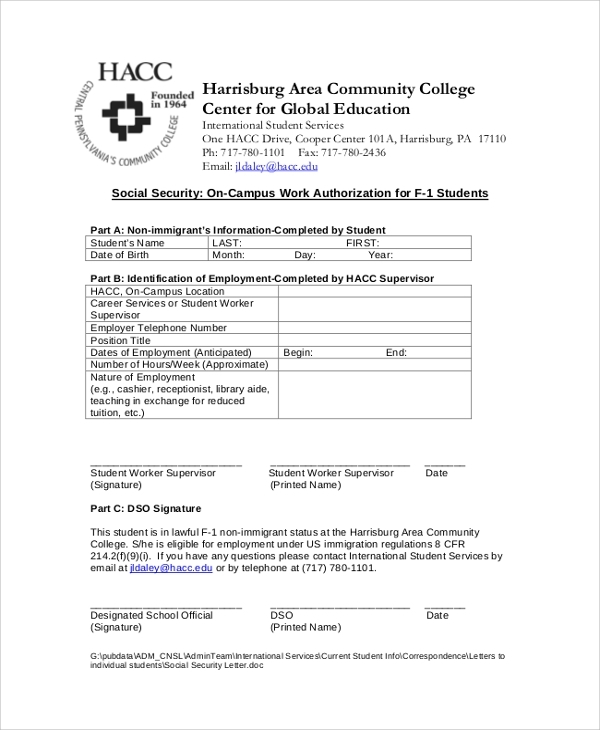 This is a form of the work authorization that is needed in social security and insurance policies. It is mostly applicable for students, and it acts as a legal proof that the student is working under an employee in some post that may be needed to claim scholarship and start an insurance policy. Social Security Form is necessary for every citizen of every country. In some countries, it is mandatory for all the right reasons. In other countries, it is available as insurance policies. With social security number and card, you can be eligible to make a claim for retirement, disability, accident, dependents and likewise very easily. The above-listed forms come with all the instructions needed to fill the forms of different types of social security benefits and make oneself available for them. 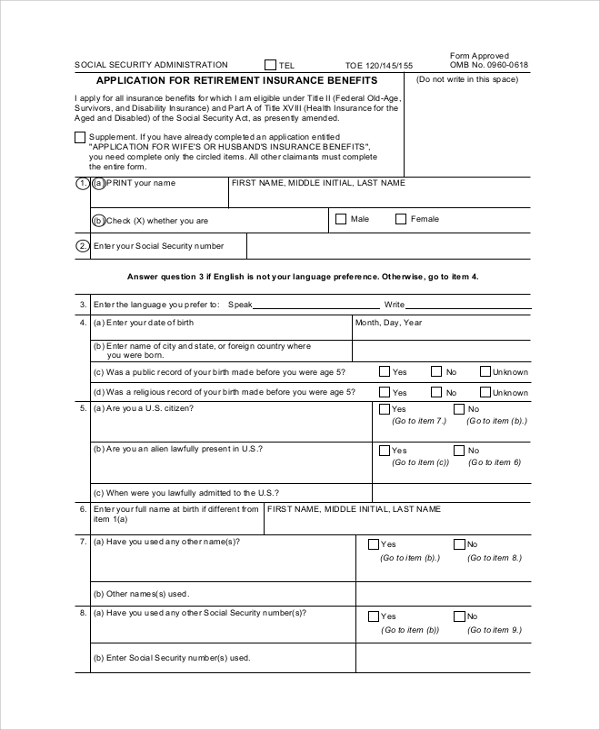 This is an application for retirement insurance benefits. This is useful for people of all age including those who have just started working. It contains sections of basic data, a set of questions that need to be answered, medical information, job data and all the information that are required by the insurance company to start the policy. 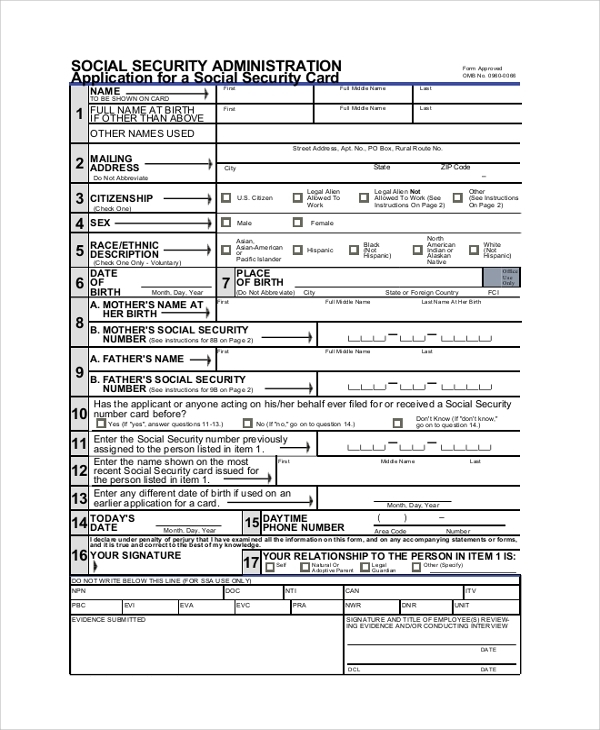 This is an application for social security card for administration. It explains how to fill the form, how to submit, the evidence and documents needed for it and then the sample form to fill and apply for the card. The targeted audiences for the social security application forms are the citizens of the country who can avail the benefits of retirement, disability, dependents and survivor conditions. They are required by the companies who make it mandatory for the employees to fill such forms and avail themselves to insurances of different kinds. As a matter of fact, all working organizations need them for their workers to subscribe them to different insurance policies as set by the Government. You may also see the Security Deposit Receipts. 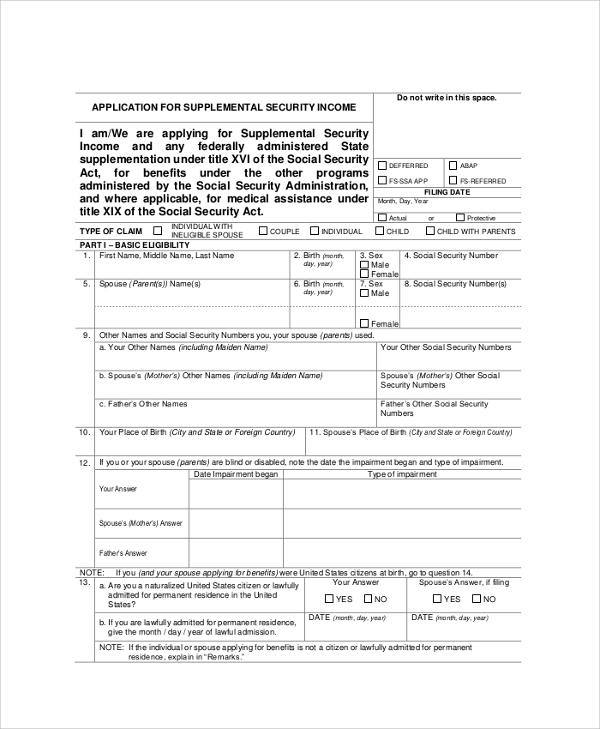 The above-listed Credit Application Forms for social security will help you to register yourself to avail the social security benefits during retirement, old age, disability, surviving accidents and so on. Any person at any age can register them. There are forms to apply for security card and number or replace the old ones and even change the information of the existing cards.